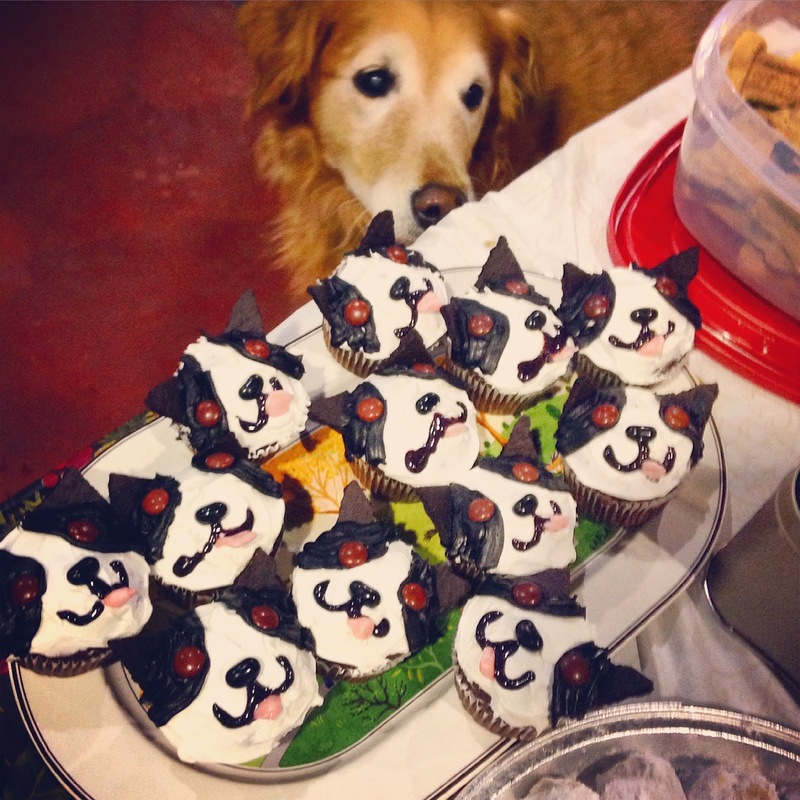 I made boston terrier cupcakes for our Christmas party at the Maryland dog owners training club. Thanks for the inspiration! 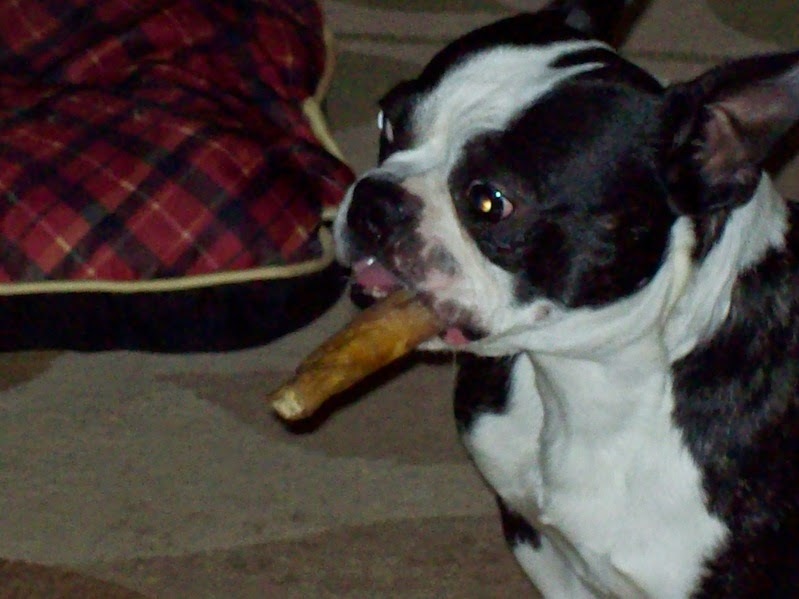 Maverick went to the vet today to get some antibiotics for a little Boston cough/cold. Look at how cute he is! He was sooo good too! Weighing in at 16.6 pounds! Vet said that's the PERFECT weight for him! Thank you for all that you are doing for him! 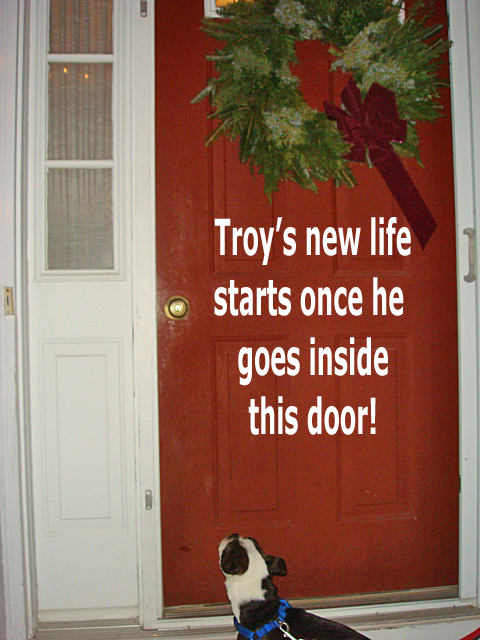 Just thought I would give Leroy a chance to shine with some updates. 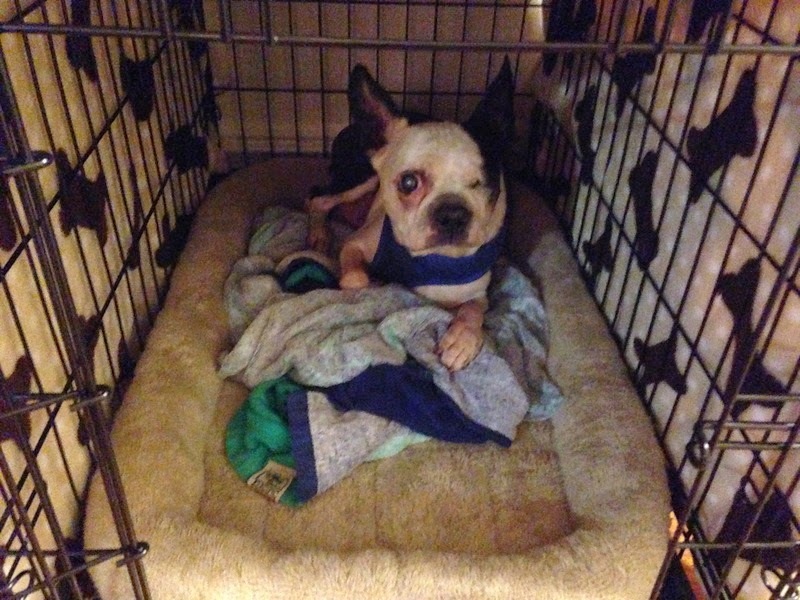 I have attached a photo of Leroy in his crate. When I first brought this little guy home he was in sheer panic over the crate. He has come a long way - and goes in on his own. 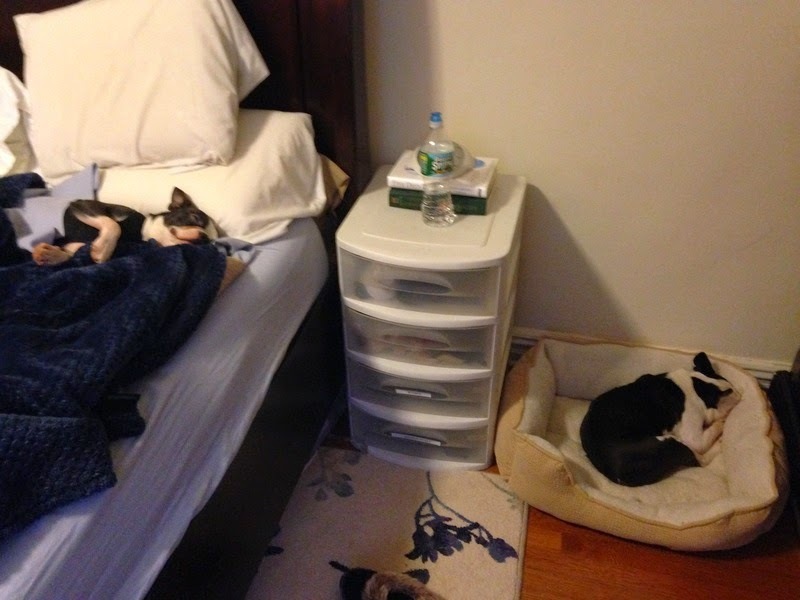 The 2nd photo is a AM shot of him in his bed (sleeps there at night). Although he could sleep him his crate with no issue. I like him next to me at night :). 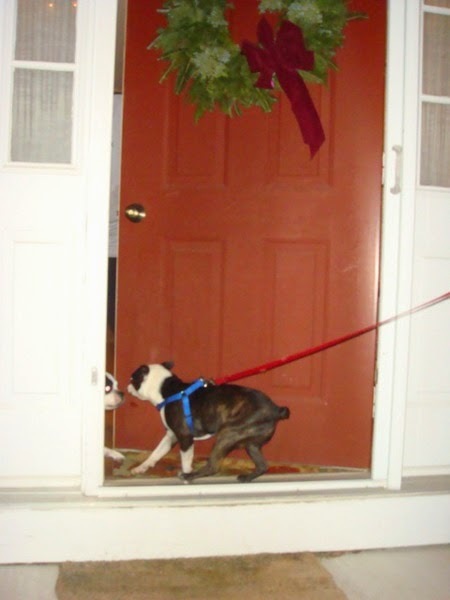 The last upload is a video of us getting ready to head out for our afternoon walk and "potty". He gets so excited - I even get excited. 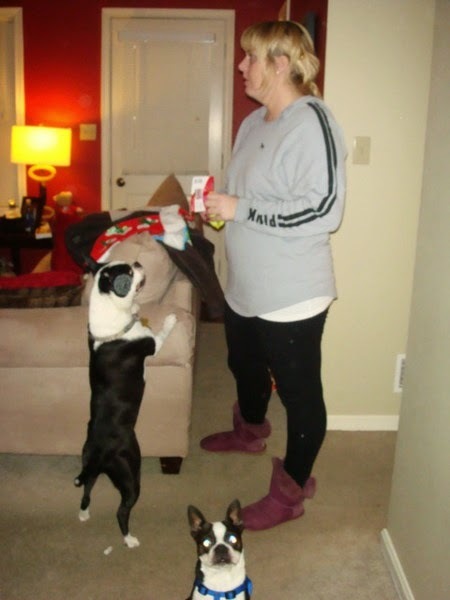 As you can see my Boston on the side - not so much! Cracks me up. 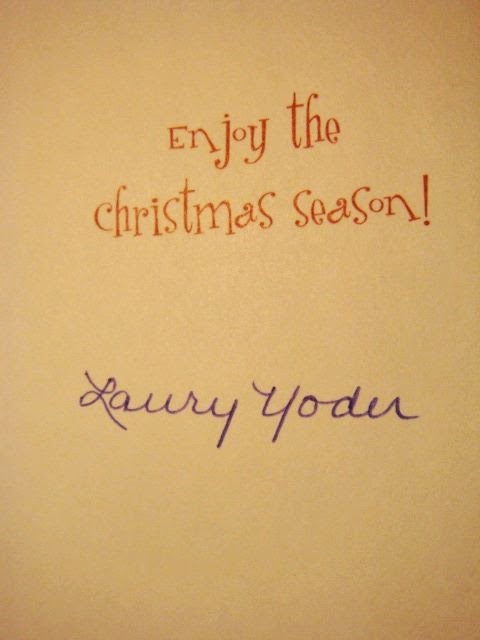 Hope you enjoy - as we are enjoying him. 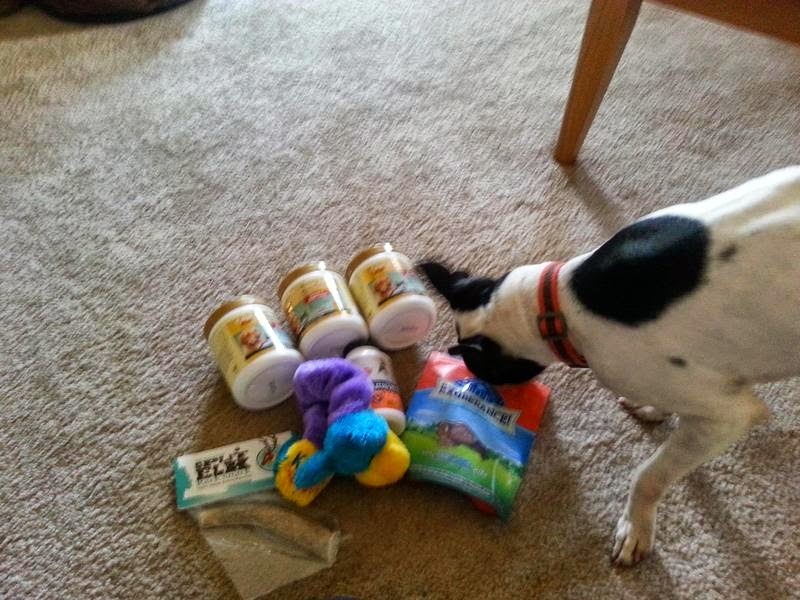 Scooby was incredibly excited when a number of angels rallied together and filled his wishlist. Scooby knew it was all for him. This boy just weeks ago dumped in a shelter with a large testicular mass is now experiencing love like he has never known before. 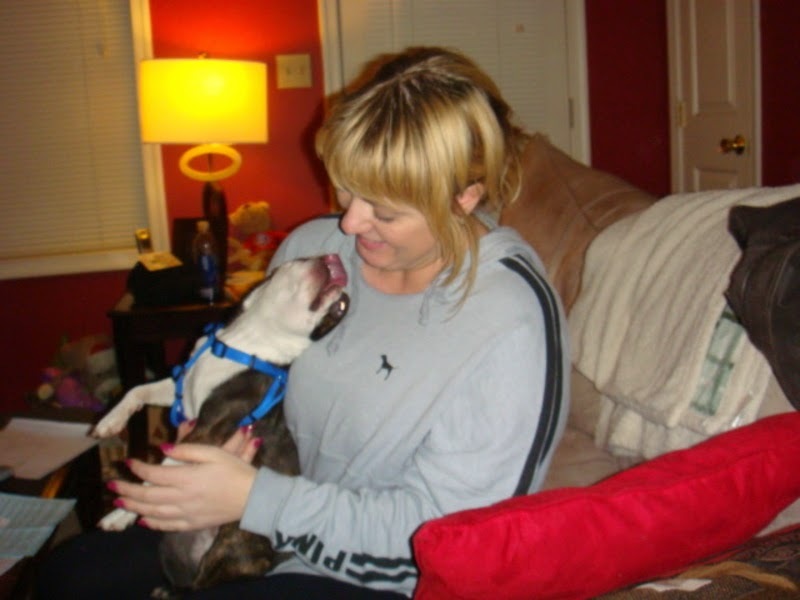 OOhugs to Scooby from his NEBTR followers and many thanks to his foster mama for sharing the love! 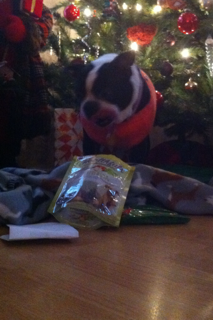 Thank you, Ellen Scovotti and Bear for the beautiful sweater and treats!! She is extra toasty now!! 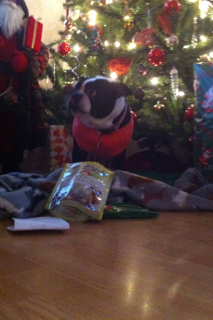 She loves her gifts!! 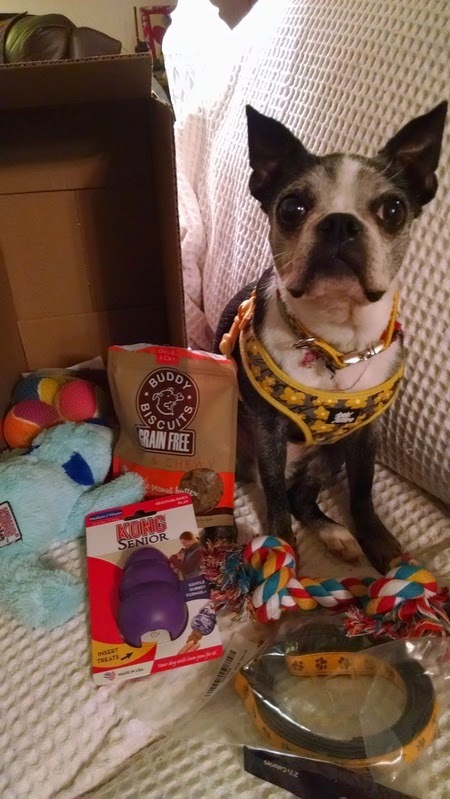 Wilbur got the goodies he asked for and much more! Thank you so much Lauren Yeary and family! 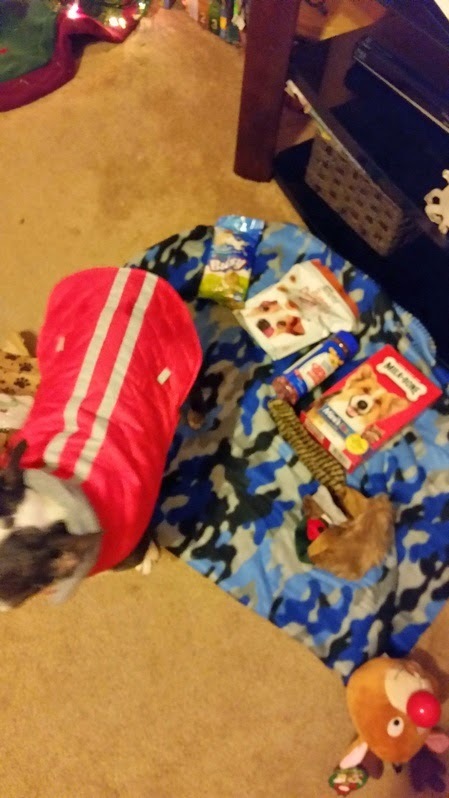 I am very touched by your generosity :) I'm saving some stuff for Christmas, but as you can see he loves chewies and the coat fits! Just in time for his trip to his other foster home (while I am away on vacation) Scooby got some GREAT presents! He is very happy, but also a little sleepy. He's just so very very very thankful!! 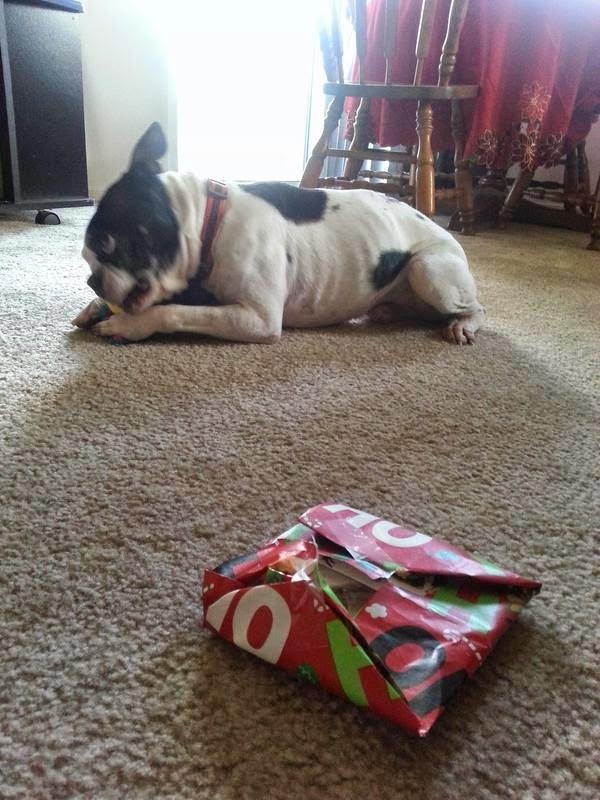 He and I both appreciate all the lovely presents! Thank you to Gemma Zarrillo and Barbara Clary Kelly! He's so grateful!!! OH! 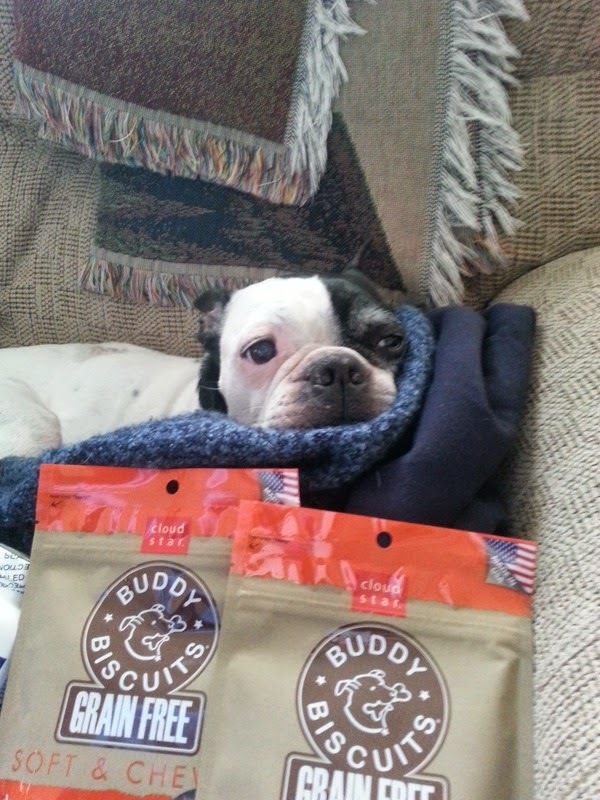 Scooby is BEYOND excited with his other packages that arrived today! He was jumping all over the place and I couldn't get him off the couch! 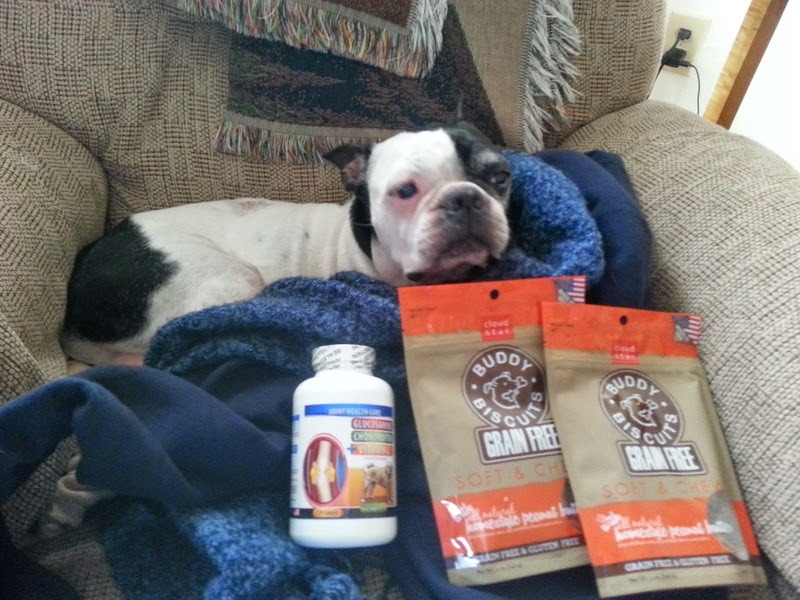 He is so very very thankful for the FISH OIL, ASPIRIN, FOOD, WIPES, PUMPKIN, and COATS!!! 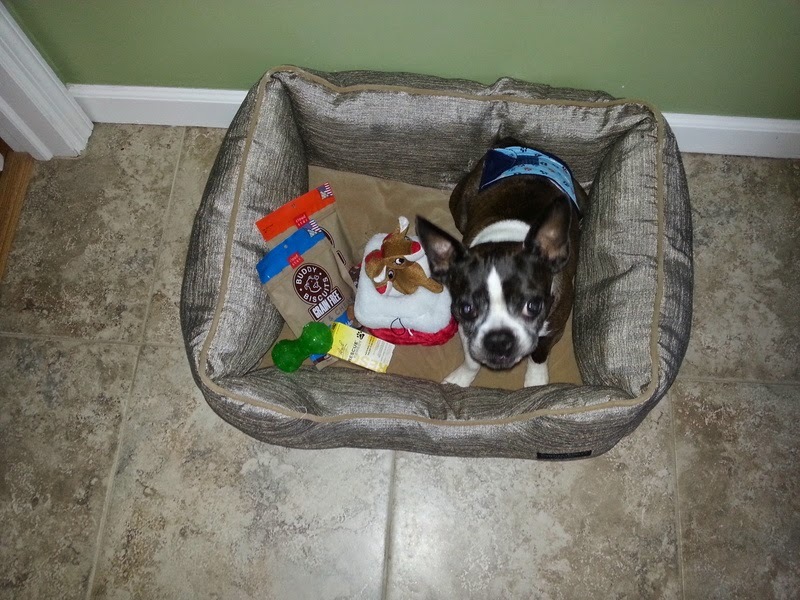 They are items he needs and is so happy to have received them just in time for the holiday!!! I would try on his coat, but we are waiting for his back stitches to be removed. Once they are, we PROMISE to send pictures! Thank you to Lisa Petronelli, Reed Overfelt, Susan Mason, and Maria del Pilar Rodriguez!!! 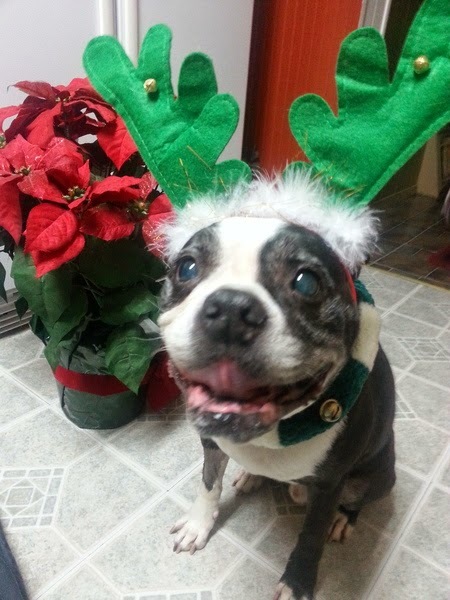 Ozzy says Merry Woofmis to Goldie! 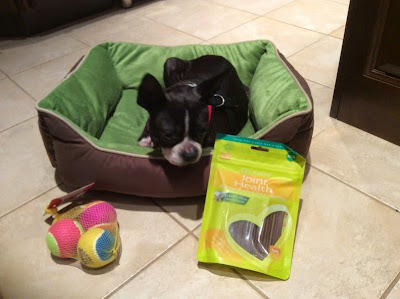 Thank you to my secret Santa Elsa & Mike Piccinich and former foster Cody! 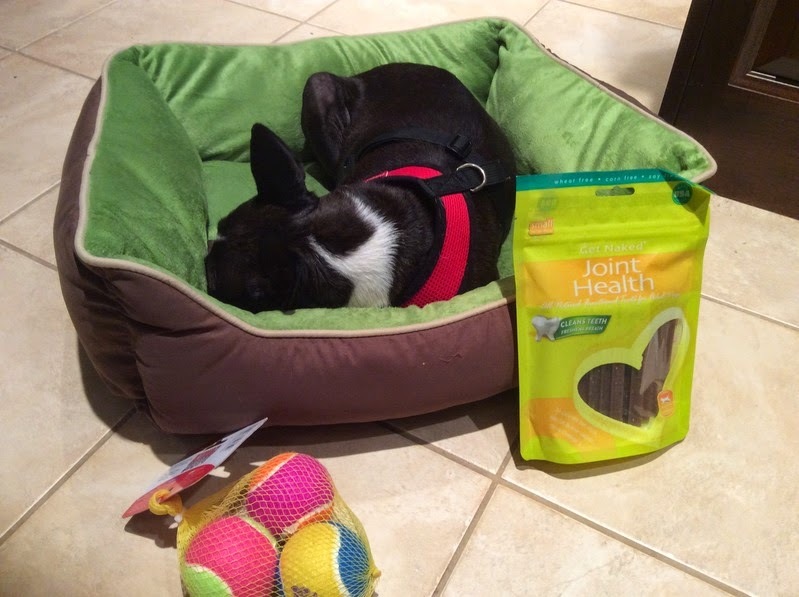 I love my peanut butter treats, cheese treats and kong squeaky toy. 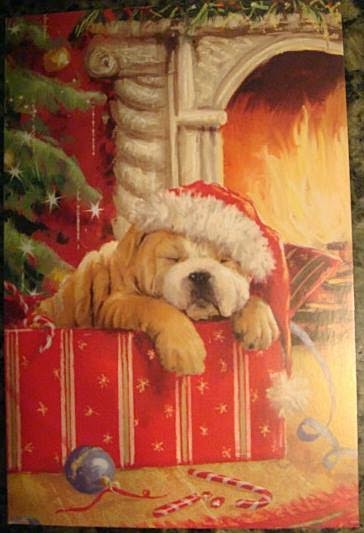 I adore my Chimney stuffed with two squeaky reindeer and a squeaky Santa! 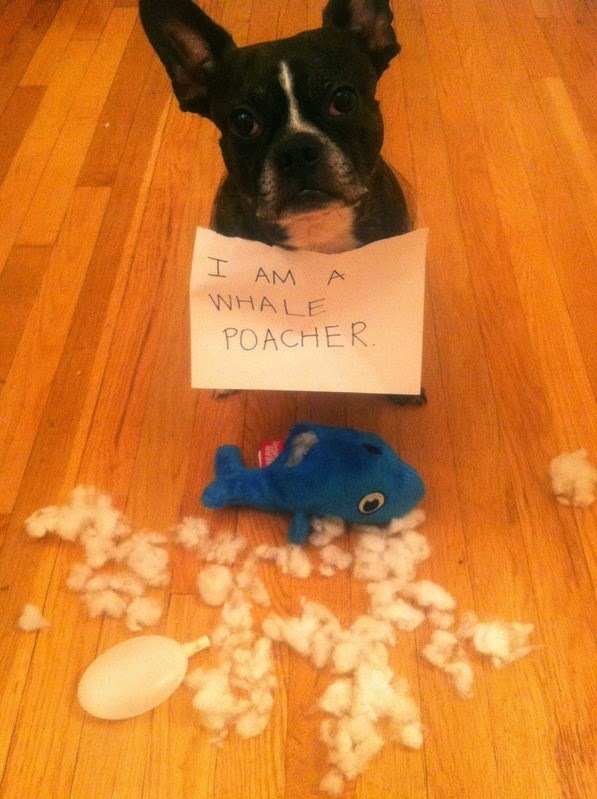 How did you know I LOVE all things that squeak? The Rescue Remedy pet will help calm my nerves. 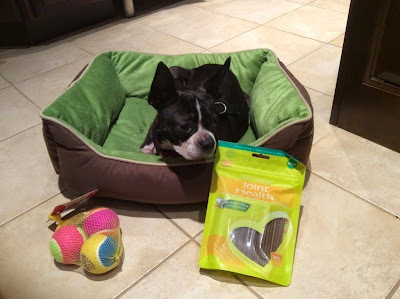 My forever foster Mom gated me off in the kitchen alone with her, away from my three foster fur siblings, so I could enjoy all my gifts alone for a bit and I AM LOVING IT! 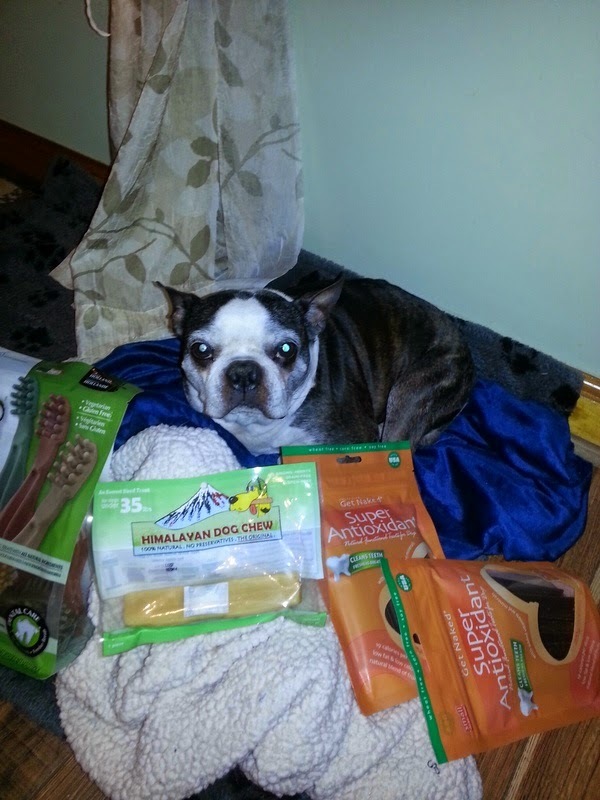 Thank you so much for your generosity and love Elsa, Mike & Cody! It's been one week since her rescue from the puppy mill. She is doing well adjusting to being shown affection, getting a good meal, and sleeping in a new soft cozy bed!! She loves people and other dogs!! Of course her favorite activity is taking a nap and hanging out with us wherever that may be. She's at work with me today and everyone loves her!!! She is the perfect little lady!! 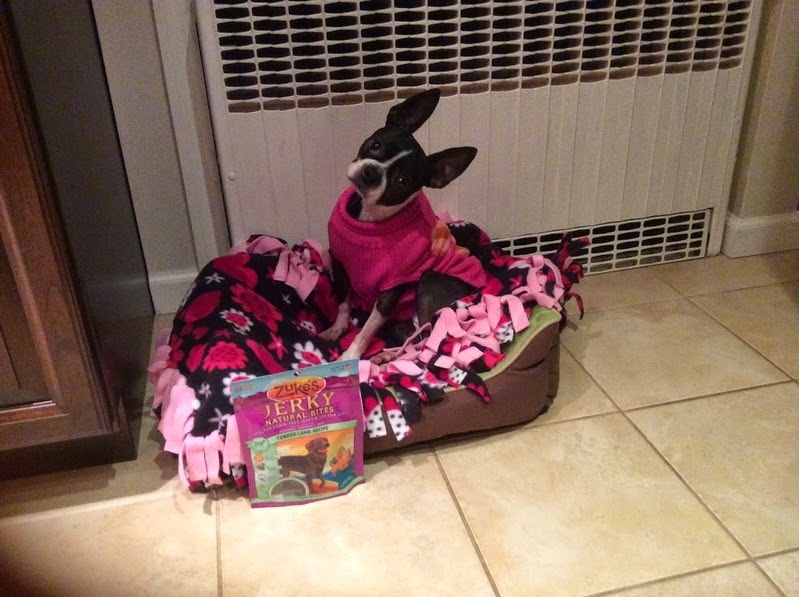 We thank our supporters like Laury who make it possible for us to keep on helping Boston Terriers! 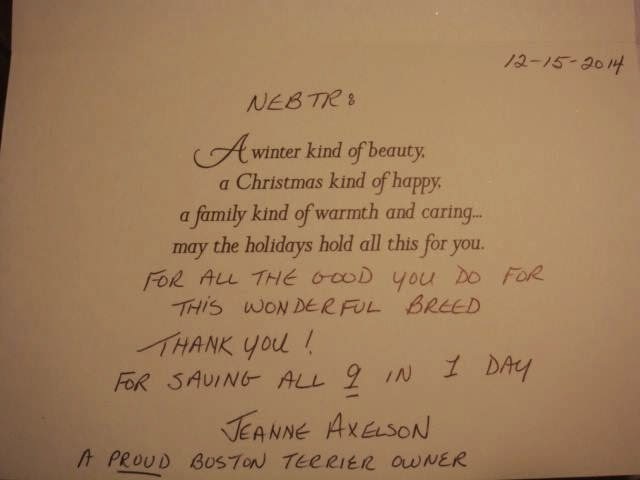 NEBTR received this card today with a donation check inside. Thanks so much to Jeanne Axelson! that dote on him, and a big brother to play with. Such a good little guy, and thanks to NEBTR he's right were he belongs. Special thanks to Chris for all that she has done for him! Manley received a box of wonderful gifts. 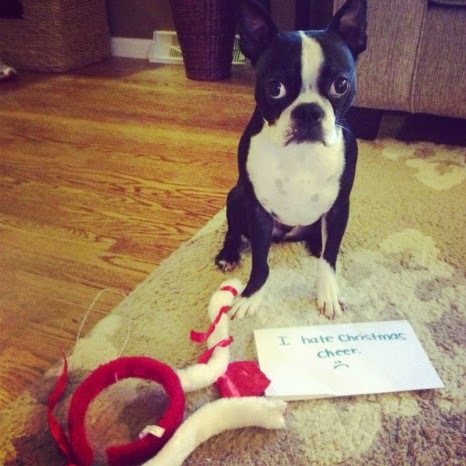 He wants to thank his Santa Jeff Chance for everything. It really made the holiday special for him, and his foster mom Jane Tirc is very grateful. 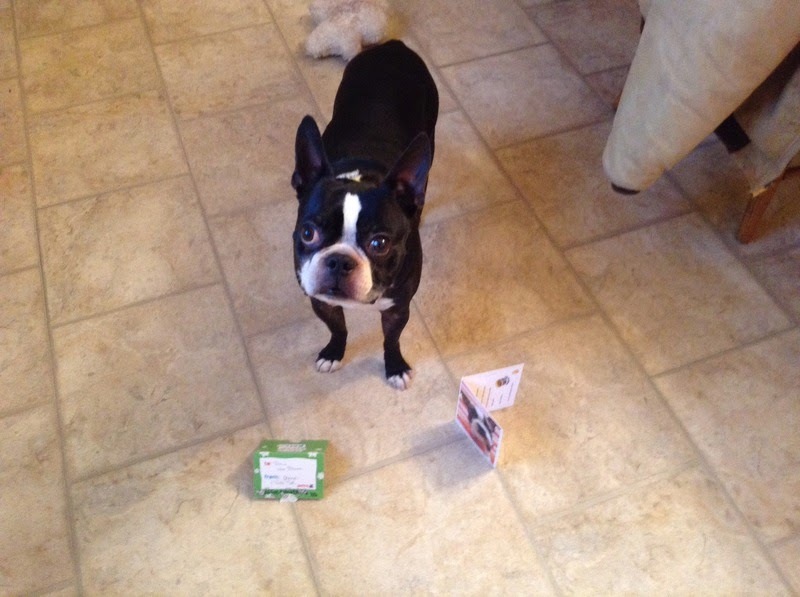 Hi my name is Bruno and I want to say Thank You to Tater Tot and Grammy Sharon for my gift card my foster mom Mary said I can go use it tomorrow . Thank You again I could use a few things. 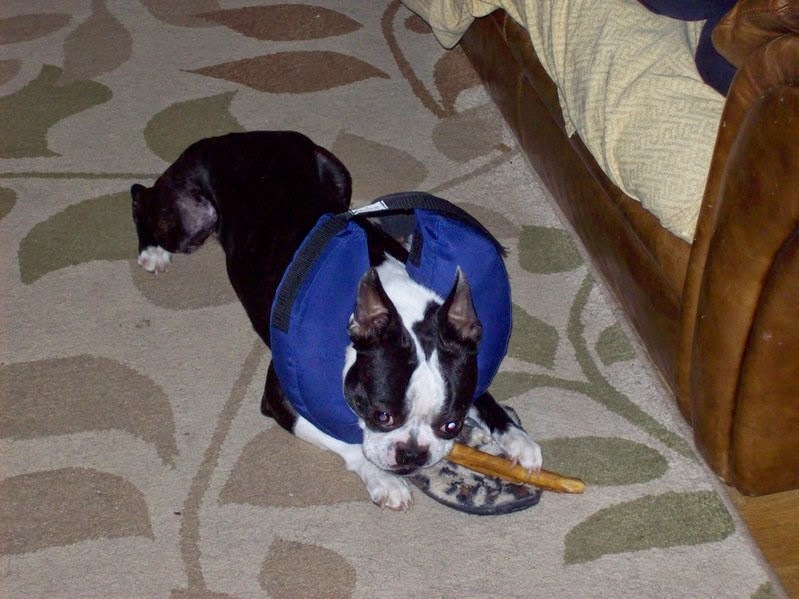 Hi all: Here's Buster (with soft collar to prevent licking to injured leg) happily chewing away on one of his gifts from his New Foster Package as he lays on foster's mom's slippers. Thank you. You made his day! 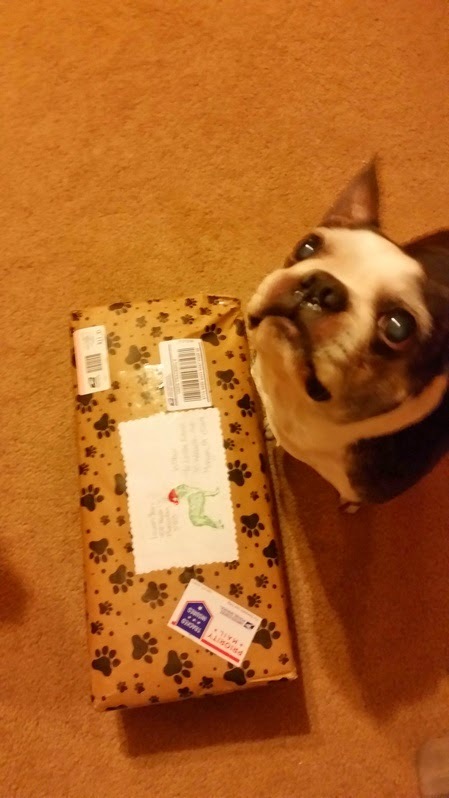 Another package from Melissa Trotter and Trinity!! 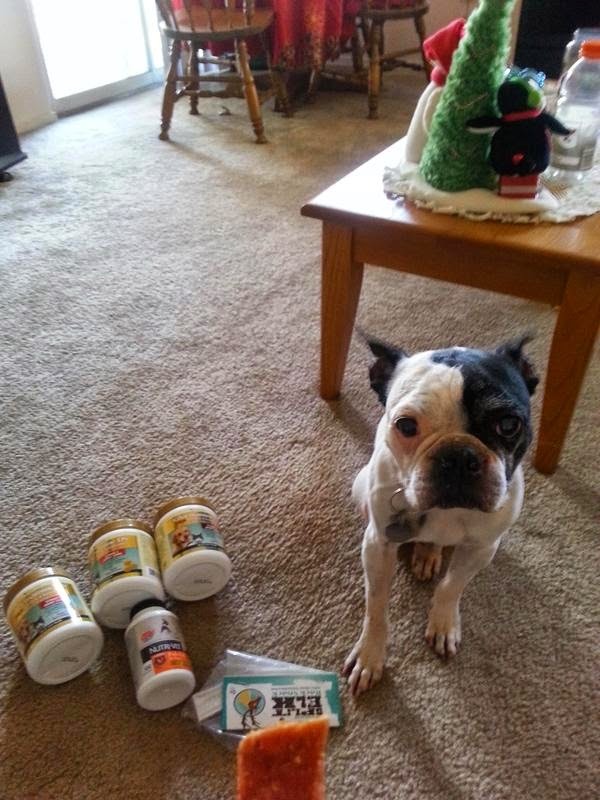 Thank you so much for your generosity towards this sweet precious girl!! She loves the bed, the treats, and her Kong squeaky balls!! OH my...her first bed!! She curled up into it immediately and is sound asleep! 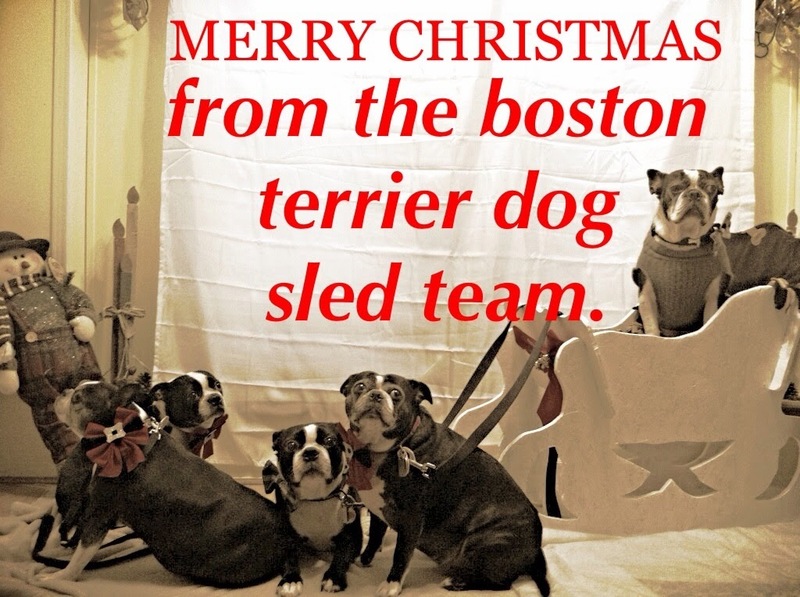 Thank you, Melissa Trotter and fellow Boston Terrier friend, Trinity! She is so happy!! 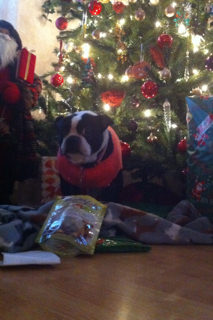 Look everybody...I got another X-mas gift from Liz Lewis Fee...an NEBTR pink hoodie! Can you believe it? Liz, I don't know what I did to deserve all the gifts, love and support from you but I can't thank you enough for all you have done for me!! Don't I look ADORABLE in my hoodie? 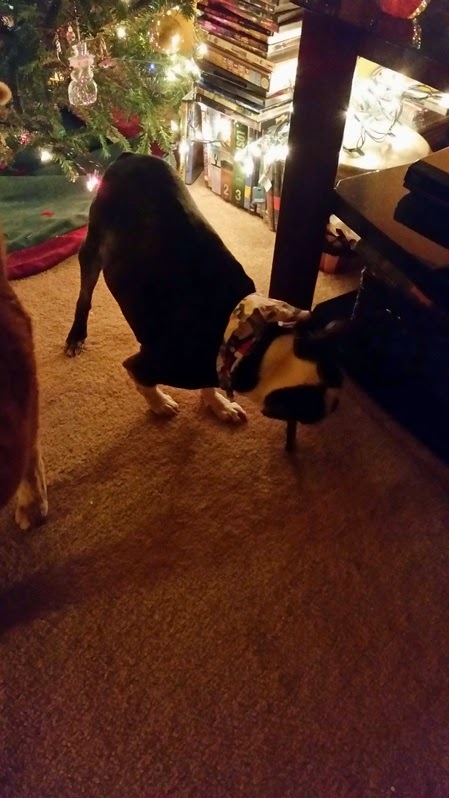 For these two silly foster-failure rescue boys! They just make me smile and give so much love. 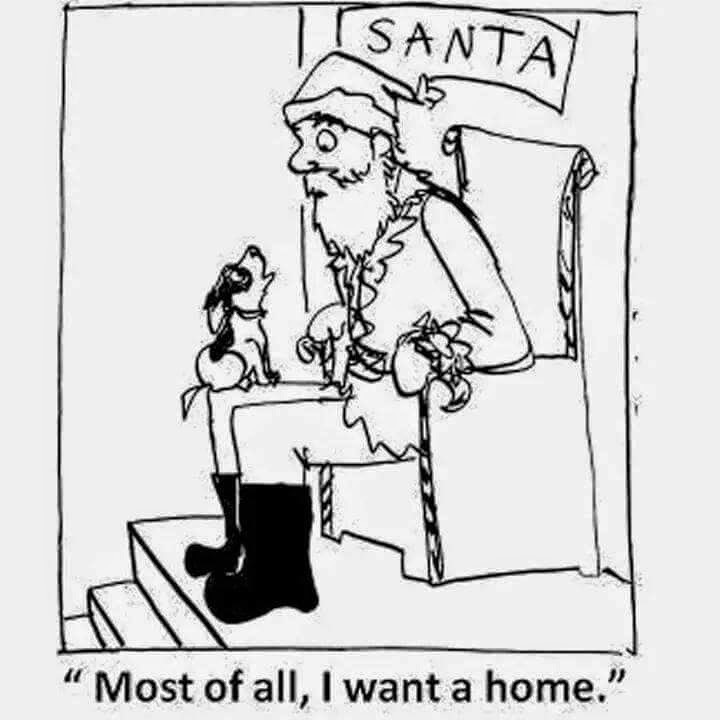 Everyone should rescue ❤️❤️! (Grimm fka Tigger and Spot). 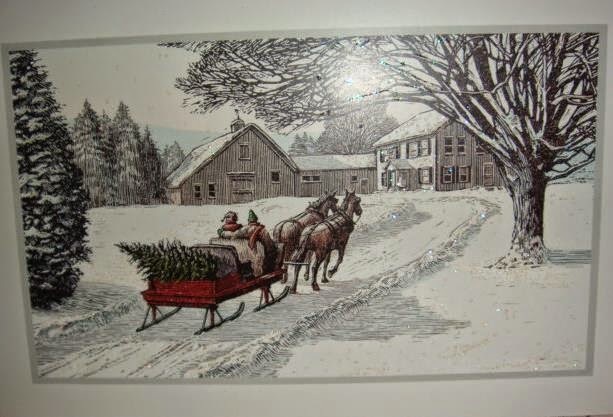 The holidays are quickly approaching. Everyone is in good cheer, excited, joyful, and ready for celebrations with friends and family. I’m sure some people are thinking about getting a new puppy to add to their family. 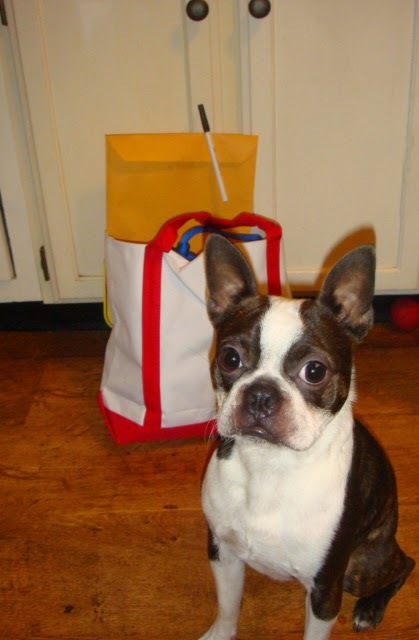 Are you ready to purchase your next Boston Terrier puppy at a pet shop? 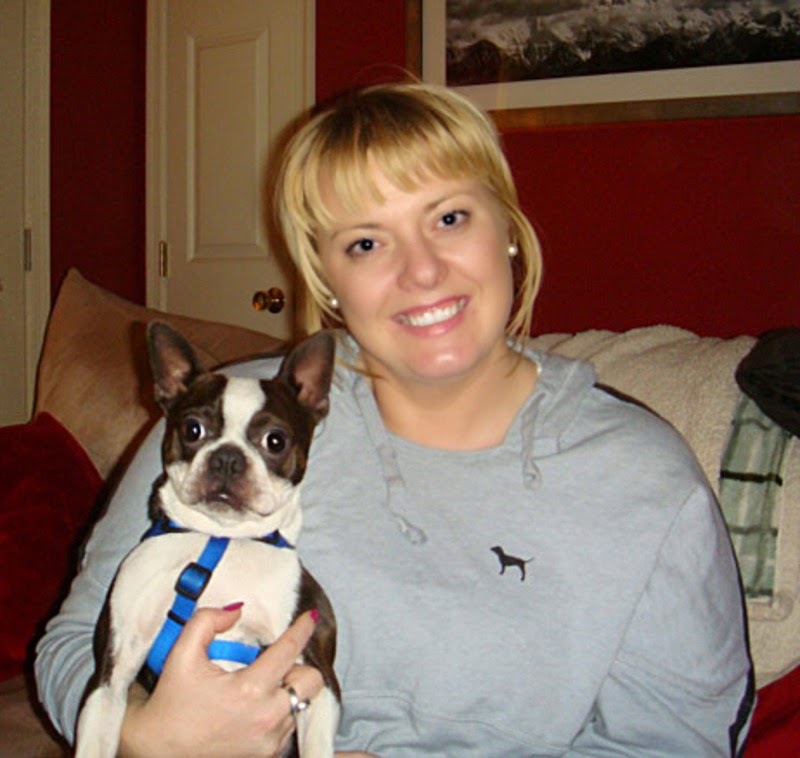 Or have you purchased a new Boston Terrier puppy at a pet shop in the last 7 years? Meet my foster girl, Jackie-O. She could be your pet shop puppy’s Mommy. I’d like to tell you a little about my foster girl. 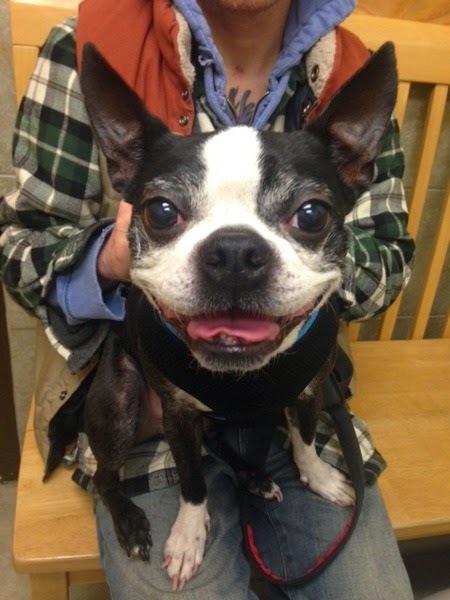 She was one of 7 mill dogs rescued by Northeast Boston Terrier Rescue on December 12, 2014. It took many volunteers to organize a successful rescue. She had lost her litter of 4 puppies a few weeks back, so the puppy mill slave breeder (and I’m being nice here) decided he was through with her. 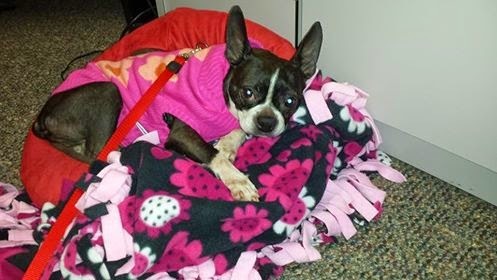 After seven long-treacherous years of breeding, she was now being dumped. Luckily it was to a rescue. Some mill dogs end up in an auction to be purchased by another breeder so that the breeding continues again….and again…and again. These dogs are treated like livestock. These dogs don’t have a name, a warm bed, treats, a decent meal, or even clean water to drink. They are in tight wire cages to defecate where they lay and stand. They don’t have the luxury of a kind human’s touch….They are grabbed by the back of their necks to be thrown into another cage for mating. When they have their litter of puppies, the puppies are taken way to soon from their mother. Imagine yourself in those conditions. Wouldn’t that break your spirit? My pretty foster girl, Jackie-O, came to me with nothing…. 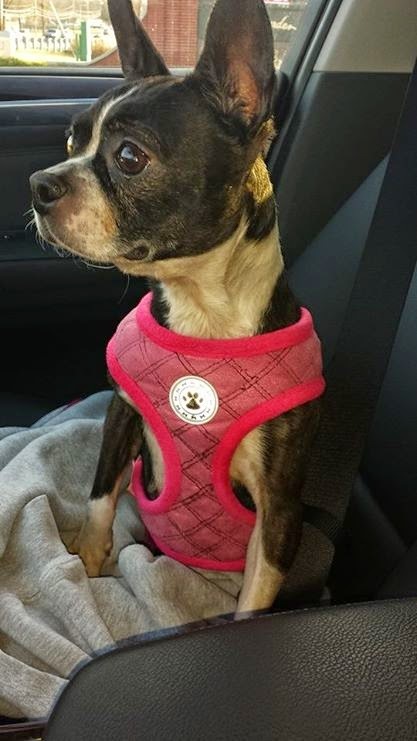 No name, no collar, no leash, no soft bedding, no sweater to keep her warm, no treats. She came to me extremely underweight. She does not know the simple pleasures of what most dogs as pets take for granted (as they should and deserve to do). I am teaching my Jackie-O everything, especially what it feels like to be loved!! When I am finished rehabilitating her, I will find her a forever home that will treat her with respect and spoil her as she should have been since being a puppy herself. 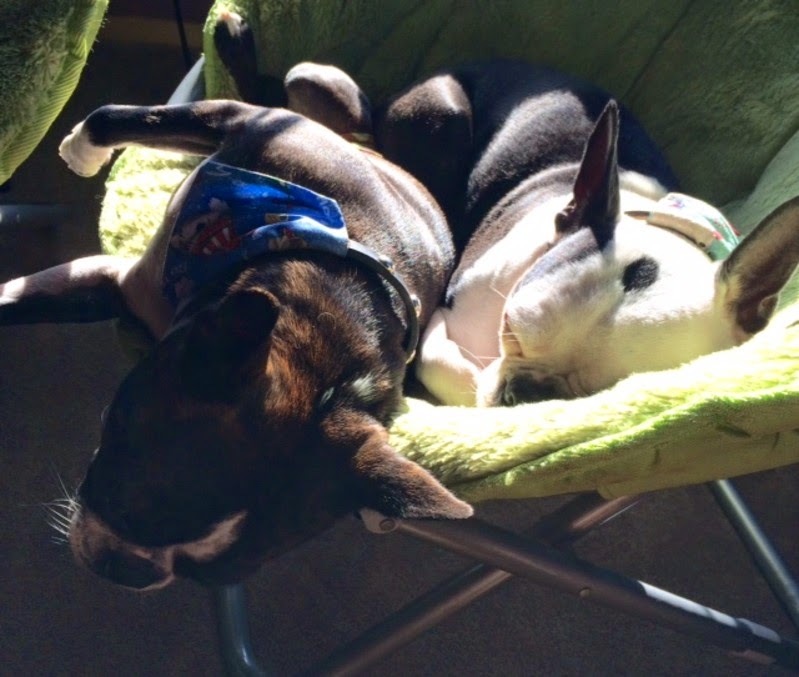 And here she is beside me, wagging her tail….just wanting to be loved. This sweet man is the best boy. I swear he smiles at me when I look at him. When he first got here, he didn't eat well at all. Now that all those nasty teeth ate gone, he eats like a champ. Sometimes I think he missed his old owners. He sometimes whines and just seems sad. So he gets extra love and hugs. He is very gentle and loving. He is doing great here. 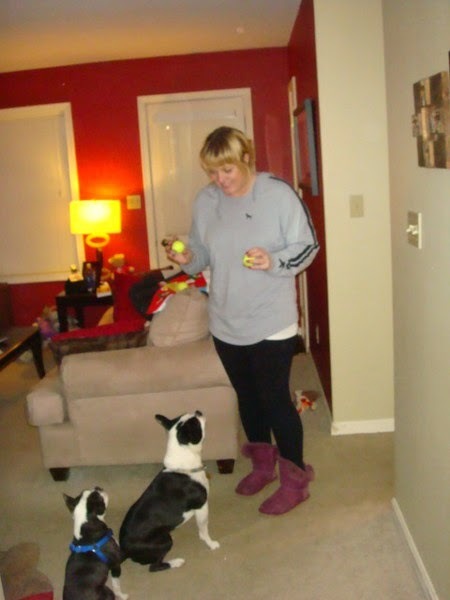 Duncan - Old Dogs - New Tricks!